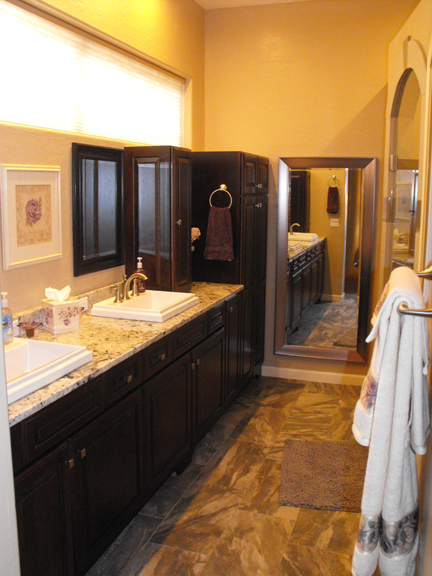 Fountain Hills, AZ Master Bathroom Remodel | Roadrunner Custom Remodeling, Inc. 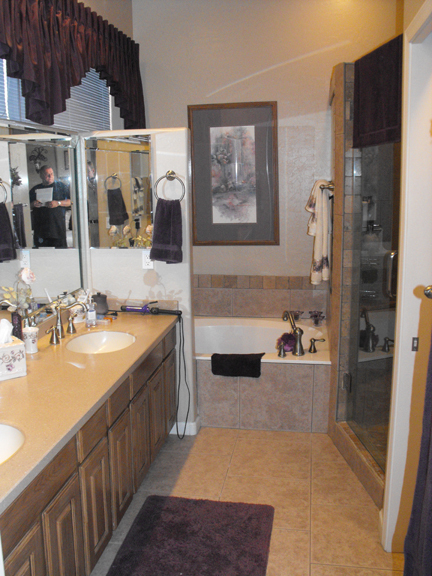 This master bathroom remodel was part of a 3 bathroom remodeling project we completed in Fountain Hills, AZ. We removed the bathtub and replaced it with a larger enclosed shower. We installed new cabinets, a stone countertop, new tile flooring, updated lighting, and fresh paint.